Before joining Indian National Congress, Mahatma Gandhi had opposed biometric identification- fingerprint based registration of Asians in general and Indian and Chinese in particular. In his book, Satyagraha in South Africa, he describes Asiatic Law Amendment Ordinance of 1906 and the Transvaal Asiatic Registration Act under which finger printing of Asians was attempted as a "Black Act." The Black Act was resisted on the grounds of the safety of Indian and Chinese community of South Africa and to resist an intolerable humiliation. Gandhi’s first Satyagraha was in opposition to British Asiatic Law Amendment Ordinance of 1906 and Transvaal Asiatic Registration Act of 1907. 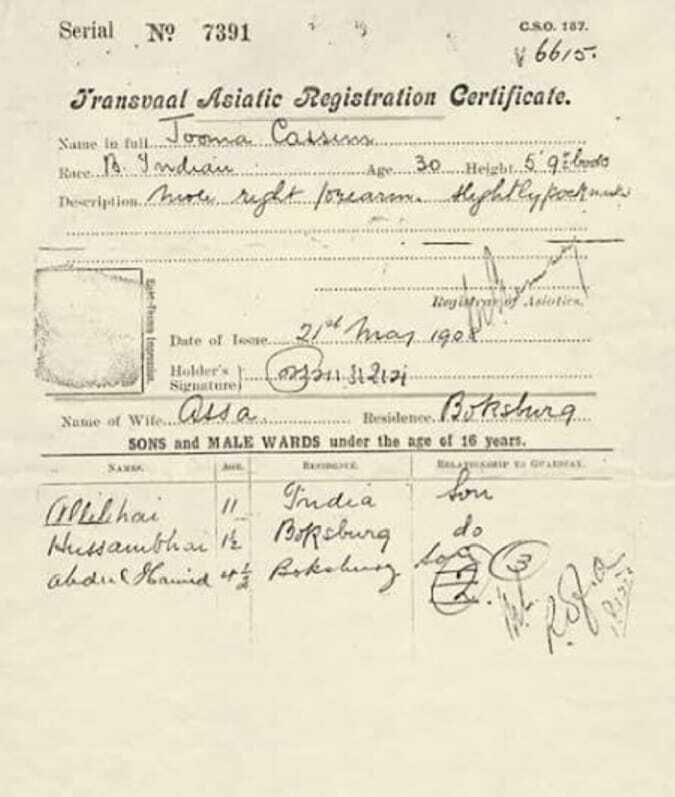 Under the Act every male Asian had to register himself and produce on demand a thumb-printed certificate of identity. The Act required the re-registration of Indians who were currently resident in the colony. The registration documents required photo identification and a full set of fingerprints, and these documents were to be carried at all times, and to be made available to police on demand. Unregistered persons and prohibited immigrants were to be deported without a right of appeal or fined on the spot if they fail to comply with Act. In many respects, this law amounted to a rational review of existing legislation in the aftermath of a total regime change, and did not, in and of itself, represent unusual discrimination for times, nor unreasonable demands on the population. Gandhi, however, made a repeal of the Black Act a central pillar of his early political activism, which in turn set the stage for a confrontation between the Transvaal Indian Community and the colonial government. One of the lessons from the Satyagraha and freedom struggle is that law seeking biometric identification of Asians must be resisted. There is a logical compulsion for the Supreme Court to factor in this part of our history. 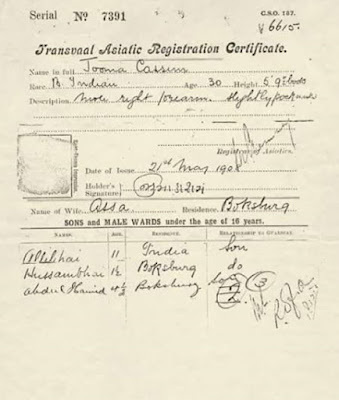 It must also be factored in that in South Africa, both Indians and Chinese were required by law to register their presence in the Transvaal by giving their fingerprints and carrying their passes. In response to such legal requirement, Gandhi encouraged Indians and Chinese to burn their passes. By this yardstick, it emerges that no political party In India qualifies to be deemed an opposition party unless they burn, boycott or bury the scheme that issues biometric identification slips carrying unique identification (UID)/Aadhaar numbers. It appears that the Chinese have remembered their historical lessons not only from their subjugation through opium wars but also how as community of shared fate they had opposed finger printing together with Indians in South Africa. Dr. M Vijayanunni, former Census Commissioner and Registrar General of India underlined other reasons for China giving up a similar exercise on Rajya Sabha TV on February 2, 2013. Indians on the other hand appear to be addicted to forgetting lessons of their consistent defeats (in the battle fields and off the battle fields). It seems that acting like a modern day Clive, Nilekani has managed to somehow take the heads of key political parties, their beneficial owners and their loyalists into confidence. Court’s verdict on UID/Aadhaar is likely to decide whether Clive and his loyalists will win once again or not. By 1750, the Indian empire was in a state of collapse as a result of a permission given by Indian Emperor Jahangir to an Ambassador of English Emperor King James for setting up of a base by English East India Company in Surat, Gujarat in 1615. By 1690, this company had factories all along the West and East coasts of India with the main centres at Madras, Calcutta and Bombay. The company started to protect its trade with its own armies and navies. 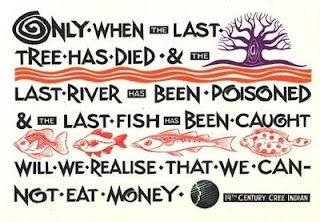 History repeats itself in simple ways. Capt Raghu Raman, who was the Chief Executive Officer (CEO) of National Intelligence Grid (NATGRID), Union Ministry of Home Affairs had proposed creation of private territorial armies by commercial czars in his earlier incarnation with Mahindra Special Services Group as part of his previous work titled “A Nation of Numb People”. But the State seems to have gone ahead and has started providing Central Industrial Security Force (CISF), world’s biggest industrial security force to the commercial czars on rent. At this rate how long will it take for the commercial czars to hire Indian Army, Navy and Air Force? In any case they are hiring them post retirement or poaching them in their pre-retirement phase itself. The publications of industry associations have pointed out that NATGRID and UID/Aadhaar are linked. Unless the Supreme Court is alive to the writing the writing on the wall its ramifications are bound to unfold and make their democratic rights redundant. The Court may recollect that Indians were taken into “uncharted waters” by unelected persons. UID-aadhaar and related schemes are meant to engineer the electoral system for good. The surveillance regime based on UID/Aadhaar is rewriting the political geography of the country by employing biometric and other intrusive automatic identification technologies. The resident numbering project took citizens for a ride by promising that the UID/Aadhaar is voluntary. Such deception ended up coercing people through rules and orders by denying services. In a reply to RTI query, UIDAI replied "There is no way of verifying the country of origin of the companies" when asked about the involvement of transnational companies as contractors. It indulged in fibbing. The fact is that UIDAI has been hiding the details of these contractors who are linked to foreign intelligence firms and agencies. Disclosures and revelations widely reported underline how these technologies have put even heads of governments reveal that there is paucity of capacity to monitor or regulate these technologies within the Government. If this is the plight of the governments and technologically challenged political class, the threat for citizens can easily be understood. Court must make the government review its capacity to regulate an emerging technology regime that is undermining democracy and sovereignty and should not be misled by unelected cabinet ranked officials who say, “Technology has no history and no bias, it treats everyone the same way.” History of technologies reveals that it is their owners who are true beneficiaries especially when it is used for social control. There is a compelling need to urgently assess the claims and risks of biometric and surveillance technology and how some companies made UID/NPR politically persuasive for the ruling party and intertwined the systems of technology with crying need for governance. Democratic mandate of 2014 was against turning India into a market democracy where executive and legislative decisions are driven by profit mongers not by public interest. It was a mandate against assault on democratic rights and diluting federal structure of the country. Given the fact that the electoral verdict of 2014 was against the proponents of UID/Aadhaar project, it remains intriguing as to why a political leader and a Prime Ministerial candidate who opposed it in September 2013 at a BJP Youth Conference rally in Trichy and on 7th April 2014 at a Bharat Vijay rally in Bangalore and who tweeted on 8the April 2014 saying that Aadhaar has no vision, it is only a political gimmick, changed his mind after a closed door meeting between him, Finance Minister Arun Jaitley and Nilekani in late June 2014. Nilekani succeeded in getting the endorsement for the Aadhaar project. Is it the case that the biometric databases of Indians have already been sold in the futures market and the powers that be have got their shares in the booty which makes it ‘irreversible’ as is being claimed, despite electoral reverses? Why are opposition parties taking starkly contradictory positions by implementing UID/Aadhaar number scheme even as they express their opposition to it? Did the citizens’ database that was handed over by Hosni Mubarak regime to the Government of USA prior to its fall facilitate the overthrow of democratically elected Morsi regime in the coup by the military in Egyp and the repression of Egyptian citizens there after? What will application of judicial mind mean when the Court has sufficient evidence to infer that beneficial owners of meta data collecting and automatic identification technologies have overwhelmed Government of India resulting electronic and biometric invasion by foreign entities? What is the lesson from Mahatma Gandhi’s opposition to biometric identification? The way all the agencies are linking demographic and biometric information with identification of citizens it is apparent that a permanent Emergency architecture is unfolding. The electoral database is also being converged. The idea is to make citizens transparent before the all mighty Government so that Government, their servants can remain opaque to safeguard the interests of undemocratic and ungovernable social control technology companies. The author had appeared before the Parliamentary Standing Committee on Finance that examined the Aadhaar Bill and the Parliamentary Standing Committee on Food, Consumer Affairs and Public Distribution that examined the Consumer Protection Bill. He is editor of www.toxicswatch.org and is the convener of Citizens Forum for Civil Liberties which has been working on UID/Aadhaar issue since 2010.